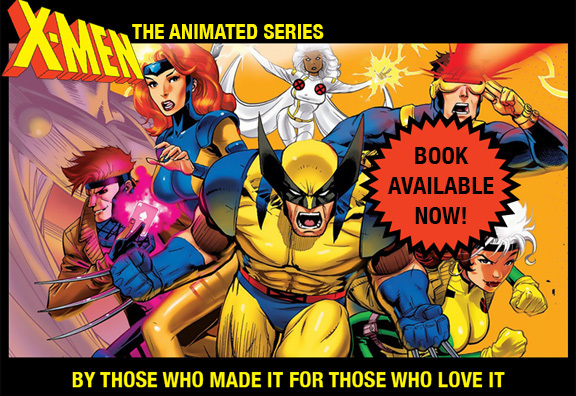 We chat with podcasters, panelists and people from around the world: Liverpool to Los Angeles, D.C. to Chicago – about all things X-Men: The Animated Series. PODCAST INTERVIEW: Art Eddy & Zach Rosenberg remember X-Men:TAS and talk with us about “Previously on X-Men”. Podcast Interview: Joe Stuber shares his early look at “Previously On X-Men” in this wide-ranging interview. Podcast: Jay Sandlin & James Gavsie pit our favorite Ragin’ Cajun against the Dark Knight himself as we look at the fight from all the angles. Podcast Interview: A fun chat with Zach and Adam about X-Men:TAS with many questions asked, and some answered. Podcast Interview: We talk with Nick and Victor about the early days of X-Men: TAS and what the show means to them. PODCAST INTERVIEW: Willie and Sonia take a break from their examination of every single episode of X-men: TAS to talk with us about the show, on Episode 17. PODCAST INTERVIEW: We speak with Host Jason @gnarlycanary about how he found the show as a young person in Boston and how it still resonates today. PODCAST INTERVIEW: Hosts Cait, Juwaan, Dale, Joel, Gerald & Canaan go into X-Men: TAS with us in a fun-filled 2-hour interview. I Heart Radio Speaks with the One, the Only Cal Dodd, our Wolverine! PODCAST: The good geeks speak with a true legend, our own Wolverine: CAL DODD! PODCAST INTERVIEW: We talk with Tawmis and Maico as they cover San Diego Comic Fest live from the floor, along with many other guests. PODCAST: Covering Cons, Fests & Pop Culture. PODCAST: Back with more Ben, Ian, Tim and Simon but this time they don’t talk to us. Instead they speak with two of our favorite people: CAL DODD @realcaldodd the voice of Wolverine in X-Men: TAS and super-fan Wolver-Steve @wolversteve. PODCAST INTERVIEW: James with @GeektoMeRadio talks with us about the early days of X-Men:TAS and its enduring legacy. PODCAST INTERVIEW: We sit back with @oddshapedpanel Tom and Kimber, and answer some deep X-Men:TAS questions. PODCAST INTERVIEW: We go deep on mutations, episodes and X-Men with @bnqpodcast Josh and Matt. PODCAST INTERVIEW: Just in time for the show’s 24th anniversary ‘sneak peek’ debut on Halloween, 1992, we chat with the charming @Da_Nerdette Phoenix Shanklin about the show’s beginnings. PODCAST INTERVIEW: Brian and Shaun welcome us to the Mixed Marvel Arts universe on their fifth anniversary and Brian’s birthday -we celebrate with a closer look at Season 1. PODCAST INTERVIEW: We talk with super-fan Dean & nice newbie Emily from His Dork World/Her Dork World. PODCAST INTERVIEW: Ben, Ian & Tim from SuperNerds UK chat us up from across the pond.